All of us search for that one thing to mark moments of our life. They can range from a dinner out with friends, to a quiet night in with your favorite movie and snack combo, to officially starting that book that’s been staring at you from the bookshelf all year. These symbolic gestures represent something different for everyone. Block Island has hosted an annual Polar Plunge for years, gathering crowds of hundreds and more to the Fred Benson Town Beach and ring in the new year with an ice-cold ocean dip. And we’re not the only ones. Believe it or not, this tradition extends across the globe. There’s an inspirational feel to Block Island. An alluring quality that’s continued to draw writers and artists of all crafts and styles all year round. 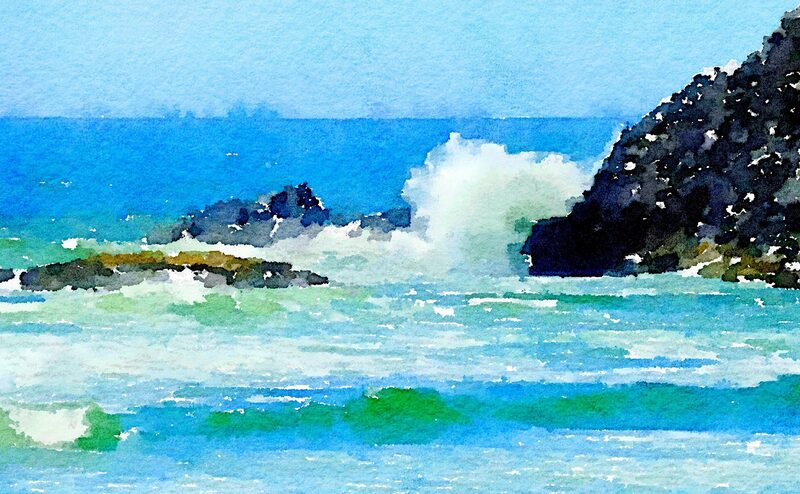 The crash of the waves on the shores all around promote creativity. The trails and trees, the wildlife on the ground and in the air, paint pictures in nature that practically beg to be translated onto the page or canvas. We have a host of galleries and studios to act as showcases, but even they can only manage so much. If you want to see everything that Block Island has to offer, you’ll be in for quite the time. This week we decided we would get you started right.